Recruitment in Queenstown usually centres around the tourist industry. There are plenty of openings in the growing number of hotels, bars and restaurants in the region. Real estate is also a boom area. Queenstown Recruitment is certainly a growth area, thanks to the flourishing tourist trade. But it's not just the hospitality industry that enjoys the spoils. Real estate prices are rising all the time, so if you're good with people and know a good plot when you see it, there are jobs to be had. Quite a few adventurers have made their home here, too, and activity-based companies are always on the look-out for extra sets of experienced hands, to supervise the bungy jumping, rafting and skydiving. 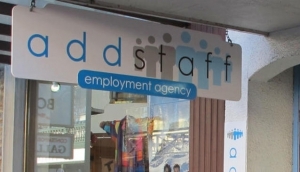 Obviously, work in Queenstown can be seasonal, but if you know you want to live and work here, pop by The Mall, Searle Lane and Shotover Street recuitment agencies who can find you long and short term employment.